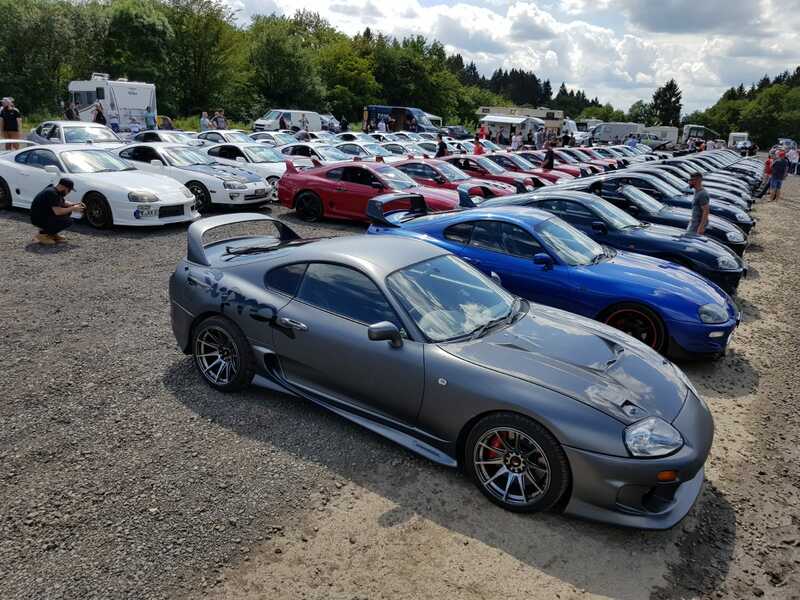 Supras at Ring 2018: 1st annual Club Meeting of the new German Supra MKIV Group e.V. - JZA80 Group by German Supra MKIV Group e.V. Drees, 8am in the morning: You leave the house, still tired, with last evening’s impressions still on your mind. 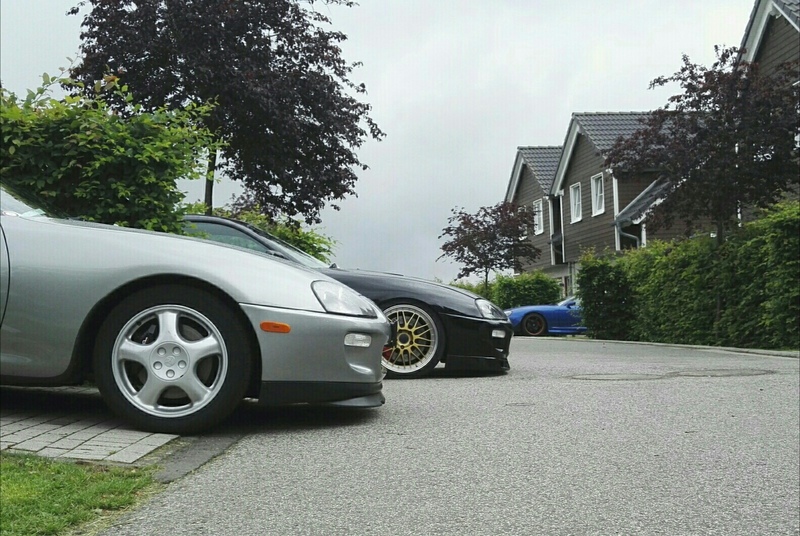 Your first steps lead you along the cars parked in the driveway. You enter the street, take a view to the left: Supras. You turn your head to the right: Supras. Right ahead of you: Supras. Supras. Supras to the Horizon. That’s what describes best what most of the 90 people attending this year’s meeting felt. 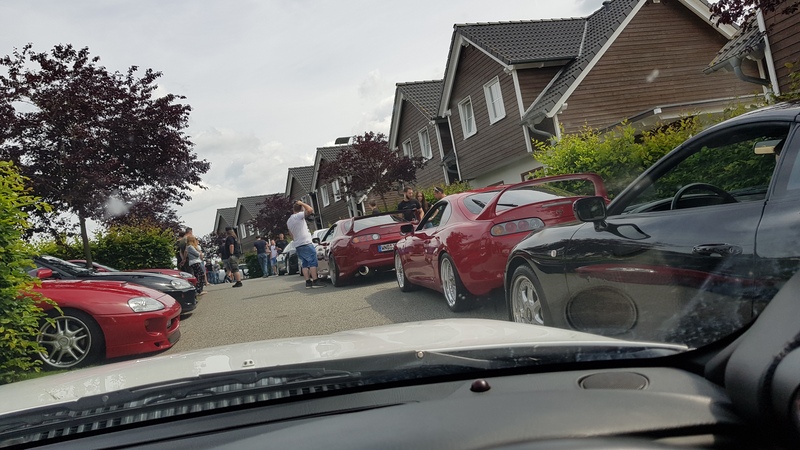 We did it again: We celebrated the annual Get together of the German Supra MKIV Communty. 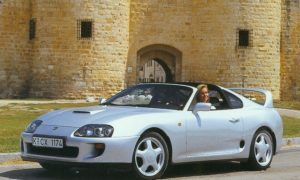 And finally we are able to represent ourselves as a real club: The German Supra MKIV Group e.V. The 10th annual meeting was the official 1st meeting of the newly founded club. That alone was a reason to celebrate. But we exceeded everything, again. Last year was a huge success with 65 MKIV in one place with the help from our friends from the Dragonball UK Crew. This year we were able to gather 55 MKIV alone through jza80.de with friends attending from the Netherlands, France, Austria and an awesome visit by 7 Swiss Supras! The meeting is on a rise, with quality and atmosphere improving year by year. Again, we have to thank our great Orga Team, namely Gian and Holger, who again were able to create something truely memorable: A scenic drive through the Eifel mountains, an awesome location at the Ferienpark Lindner, the countless car-related discussions, the unequaled great atmosphere and last but not least: Quality BBQ by our Club-Butcher Wolfi. Even though not able to participate this year, he still organized everything from his Bavarian exile. That’s what I call Team Spirit! Great people, all united by their passion for a Japanese car, that just celebrated it 25th Birthday. Especially the countless new faces make it special every year again. A huge shoutout to our Swiss and Austrian friends, who drove a serious distance just to have a closer look at what our club does! I think and I am pretty sure, noone was left disappointed. 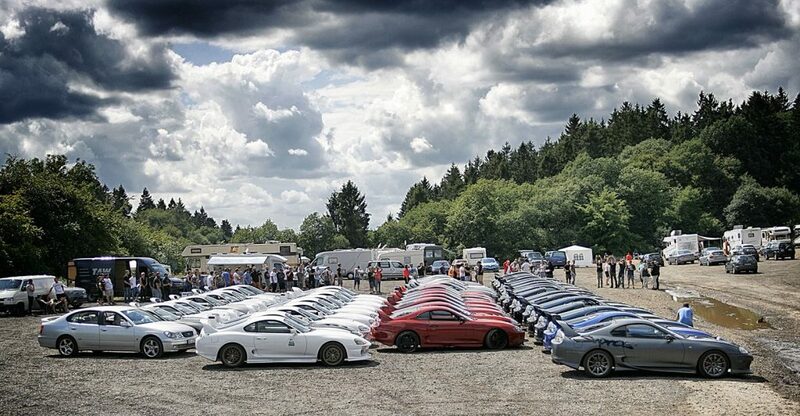 The Group Picture with 45 MKIV in one place speaks for itself (with still not all participating Supras shown…). 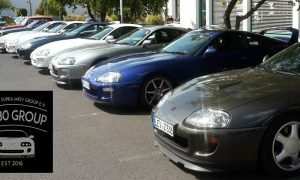 In terms of our club, the “German Supra MKIV Group e.V.”, we were able to have our first obligatory Annual Meeting. We are proud to announce: A total of already 37 euphoric Members are part of this club. For the first time this group was able to gather as a real club. Discussions were held and votes were done. Not only information and benefits for club members were substance to these discussions, we also discussed about how to develop our CI. What do club members except from the club? What are their hopes? How does the future look like? How can we involve our Non-German brothers and sisters even better? The full Minutes of Meeting for this year’s Annual Meeting will be published here soon. I am sure, every member is proud of being part of this exceptional group of people. With this year’s meeting being such a huge success, the election for next year’s location were pretty clear: We will do it again! 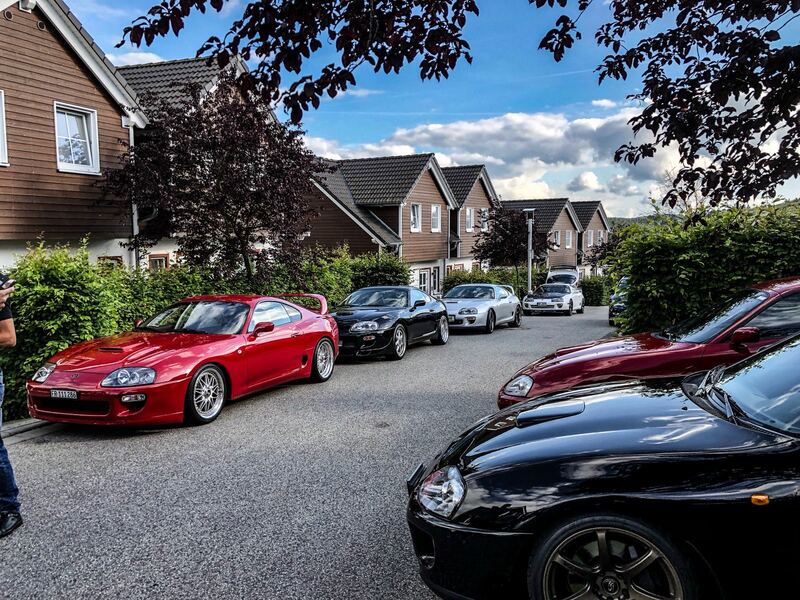 Where else do we have the possibility to flood a street with our favourite cars? 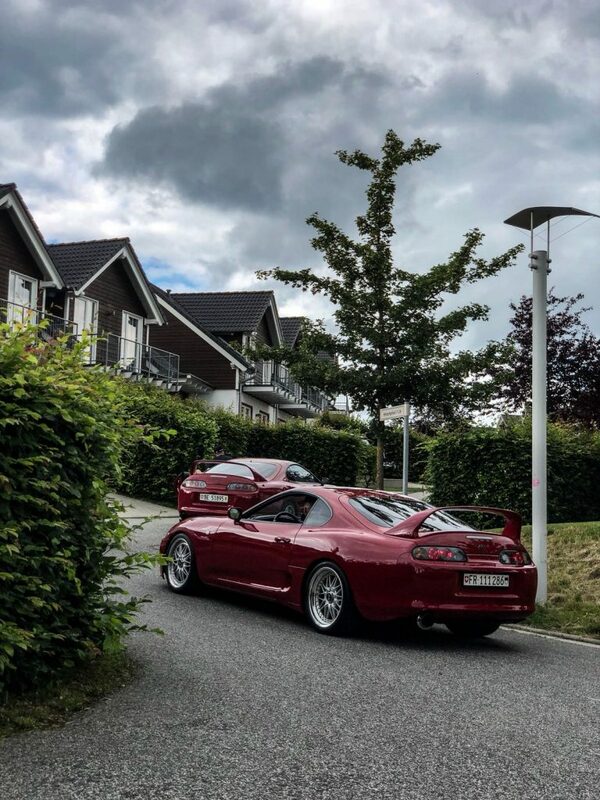 Drees, 8am in the morning, somewhen in 2019: Even more Supras everywhere! Stay tuned for 2019’s itinireary! Gian&Holger for the great organization! Wolfi for the best meat in Germany! www.shoarmateam.nl for the Support from the Netherlands! www.supra-klinik.ch for the incredible Support from Switzerland. And to everyone else, who makes this meeting so special!